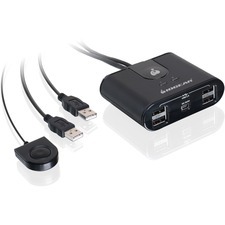 Manage all your computers from one convenient location with a StarTech.com KVM switch. 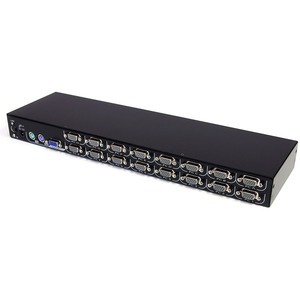 Designed for use with the 1UCABCONS or 1UCABCONS17 TFT panel integrated cabinet consoles, this hybrid KVM allows you to manage 16 USB or PS/2 computers from one console. The CAB1631HD uses an intuitive on-screen display and hot-key combinations that let you switch between computers quickly and effectively. Manual and Auto scan modes are provided for easy monitoring of all your systems. The CAB1631HD switch fits on your server rack, behind your 1UCABCONS or 1UCABONS17 console and uses rear cable connections for maximum space efficiency. Multiple KVM switches can be cascaded to support up to 136 computers.